*IF* you use this board with the included thermister for a heated bed, you must short out R5 in order to get the temperatures up high enough to be effective. What were the resistor changes for using this for the hot end? And what change for using it with a heated bed? There might have been two resistor changes mentioned for heated bed, one with Velleman kit sensor, and one for the H-1 thermistor. OH, and where can I buy one in the US? I can't even find one on eBay. 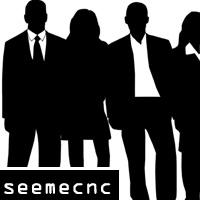 I thought someone here mentioned SeeMeCNC was going to have them, but looks like not. You can get them here: Apogee Kits - I got one there several weeks ago and it looks like I need to order another. To use this for the hot end you replace R5 with an 18K Ω resister. I've been trying to get one to work with my homebrew nichrome hot bed but I blew it today. Not sure what resistor changes are needed with that. I was trying to use the stock thermister but I ordered some of the 4K thermsiters that comes with the H-1 (from Mouser #657-GC1396V-3-200). I think Andy Wander mentioned, on Yahoo, that IF USING the SeeMe thermistor, R6 should be replaced with a jumper wire. I don't remember what anyone might have said about using the Velleman kit sensor. Anywhere, where to buy one of these? I have my hot end kit build with the R5 mod, now I need to build another one for a heated bed. Tom, I posted my source in the previous post - Apogee Kits. I ordered one 3 minutes before I made that post and they've already sent it USPS Priority. Good service. As I replied to your other post Michael, R5 needs to be a short in order to get to the higher temps needed for a heated bed. here is a link to the assembled kit I used instead of the DIY kit that was included with the H1. I'm received one 4k thermistor and my I have 10k on R5, but the max temperature is 150 C.
Which resistor I have to reduce (R5 or R7) ??? lynx74br wrote: I'm received one 4k thermistor and my I have 10k on R5, but the max temperature is 150 C.
You need to short R5 to get the higher temps. This thread is kinda confusing. And you replace R5 with 10-18K resistor for use with the hot end? I agree, theres too much mis-information in this thread and people are bound to break something... let me try to clear it up for you. I hope this clears things up for you, its a game of what thermistor you use and changing R5 will alter the temp range it will go to. I did it, the temperature go to 230C near to the end of the pot. But the temperature read become unstable and the board can not maintain it regulated. I'm working with a new hot end and 3mm Black ABS filament, it requires 230C to print correctly. Maybe I have to change the R6 to become more precise. What I have to do? In an attempt to help clear up what resistors to change and how they impact the velleman MK138 controller, I offer this writeup. Please let me know if I misinterpreted anything. If my understanding of the Velleman MK138 was correct, then check out this chart I created which identifies the R5 and R6 values you need to achieve a desired MIN/MAX temperature settings (only valid for the Spectrum Control's GC1396V-3-200 thermistor). (The only real checking I did was to compare the computed values against one data point from my particular machine: R5=10k R6=56k and they were pretty much spot on.) I don't want to provide misinformation so your comments are appreciated. JTCUSTOMS wrote: This thread is kinda confusing. I agree, can someone provide an explanation in ENGLISH? I attempted to make it clear in my two posts. In my opinion, Never short R5. If you do and then you set the pot to its max setting, the thermistor runs wide open, so I would never short R5. zaphod wrote: I attempted to make it clear in my two posts. It's happening with me, I shorted the R5 and the reading become unreal near to the end of the pot (around 230ºC with 10k on R5). So, I have to use 12k & 100k on R5 & R6 to get 160 ~ 280 ºC, right? I shorted R5 with a jumper on two of these and both quit working after a few hours. I would tend to agree that some resistor value would be better than a full throttle short. Yes, they look pretty good. I don't have the intermediary values like 280 ºC so there is a little interpolation there. I'm wondering if you have some other issue, though, going on. With my stock 56K R6 and my 10K R5, my extruder nicely goes to above 280 ºC (which is too hot for me actually) at its max setting and seems rather stable. I'm not sure why your system would be erratic and topping off at 230 ºC. I tried using 100k thermistor with the stock 56k on R6 and 10k on R6, the temperature do not go more than 210ºC. So, I short the R5 and the temperature do go more than 230ºC. I will try with the 4k thermistor and 10k on R6. The goal is to adjust the value near 200 ° C.
Last edited by charles on Wed Jul 04, 2012 7:55 am, edited 1 time in total. The video shows a test I did with the changing MK138 (resistor R5) to 10K. According to the electronic manual SeeMecnc H1. This thread has been dead for a while, but I have a problem with my Vellman's (Vellmen?). I have one built per instructions for hot end. When I turn it on, apply 12vdc to the input, the red led comes on, the relay clicks. Checking continuity, COM/NC changes to open, COM/NO changes to closed, as it should. However, shouldn't I then have 12vdc across COM/NO, now closed? I have no voltage anywhere other than the in terminals. Well, probably 12vdc somewhere, but not on the relay output, and the hot end sits cold. If I hook up the hot end straight to 12vdc, it heats up, so it ain't the resistors, it's the output of the Vellman. Actually, I have one Vellman built for a Phebe1, too, and it does the same, click, red led, no voltage at the relay either way across, COM/NC/NO, in any configuration. Man, I have everything ready to print and I can't get the hot end to go. What am I misunderstanding here? Given that you have 2 Vellemans with the same "problem" I suspect an operator error or mis assembly (no offense, it would just be strange to have 2 defective units). If you hear the relay click, you should be getting voltage out if voltage is coming in to it. Did you measure the voltage coming into the relay?